Governor General Sir Arthur Foulkes sat down this week with a small group of people involved in a very ambitious project — to create, exhibit and make available to the wider world the faces that make up the soul and spirit of the Bahamian people. “This is a wonderful idea,” said Sir Arthur, applauding what is known by its working name as the Bahamian Project and will become, by the time it is unveiled to the public, The Bahamian Collection. “Look at the quality of the work and the printing,” the Governor General said, studying an image of legendary drummer Peanuts Taylor. Like all of the photographs that will comprise the Bahamian Collection, it is an intense study in black and white printed on canvas, a touch that did not escape the Governor General’s notice. “Better for texturization, gives it a richer feel,” he said. The Bahamian Collection is the brainchild of husband-and-wife team of photographers and online news (B2B News) publishers Duke and Lisa Wells. He does the shooting, she records the moments in still, video and voice, keeping a living online history of their history-making work. They enlisted the support of two other partners, The National Art Gallery of The Bahamas (NAGB) and Popopstudios International Center for the Visual Arts. The NAGB will unveil the exhibit of the first 60 framed portraits on July 11, 2013, after which other photographers will be invited to submit and contribute the faces that make The Bahamas what it is. The National Art Gallery hopes that once the exhibit has run its three months in Nassau, it will travel. “We hope the U.K.,” said Director Coulson, “and maybe the U.S.” As for the Wells, creating the National Portrait Collection has its spin-offs. “We want to put a disposable camera in the hands of every young person who does not have access to a phone with a camera and ask them at Mother’s Day to take a photo of the woman who has been the most important woman in their lives and at Father’s Day, the man who has taught them the valuable lessons a father would teach whether it is a biological parent or not. You can do so much with a camera. 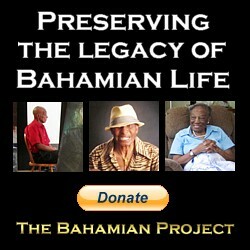 We want to share and spread this excitement, to help make moments and memories and at the same time, create a record of Bahamian faces forever,” says Duke Wells.